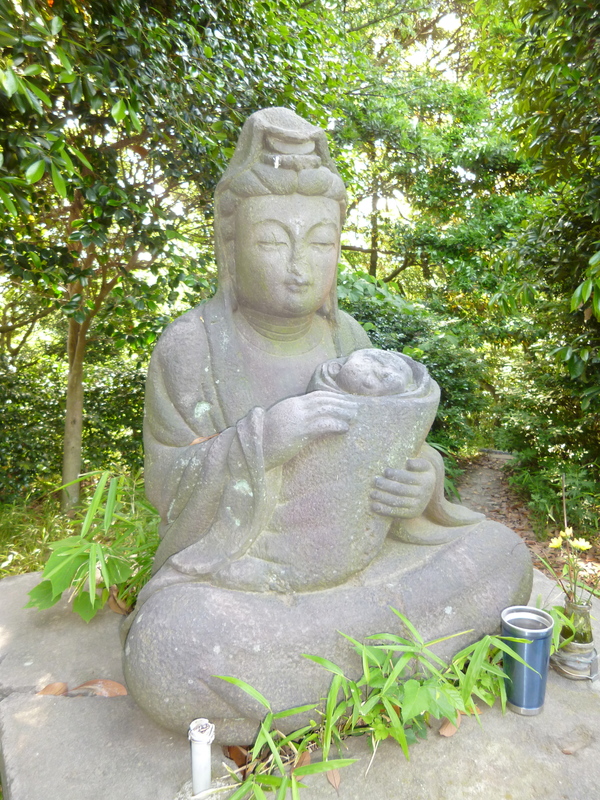 I was absolutely delighted to visit this tranquil, little temple in Yokohama recently and that was of course mainly down to the fact that it once featured in a Manic Street Preachers video (read about that here) back in the early 1990’s. 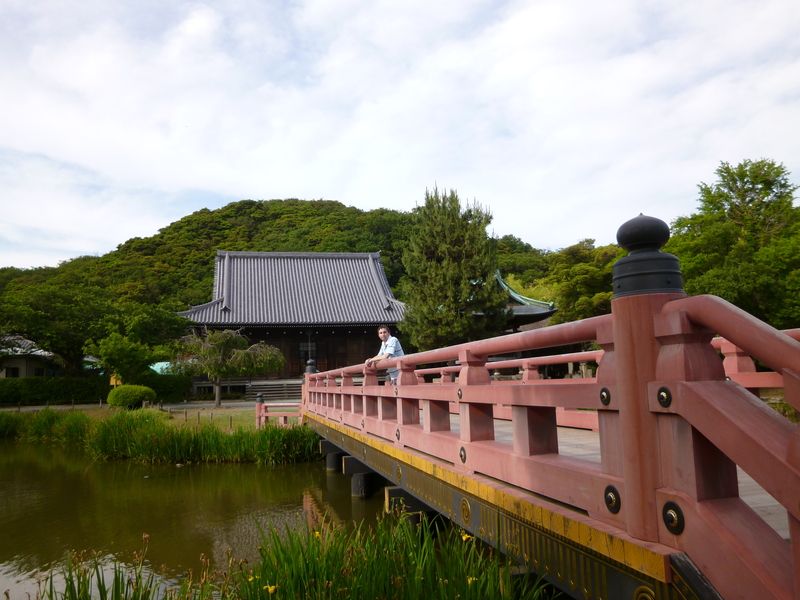 Naturally, you do not need to be a fan of the Welsh band to enjoy these temple grounds! In order to get to this place by public transport you need to take the east exit of Keikyu Kanazawa Bunkyo station and its a ten minute walk from there. There is a map outside the station and a couple of signs along the route. 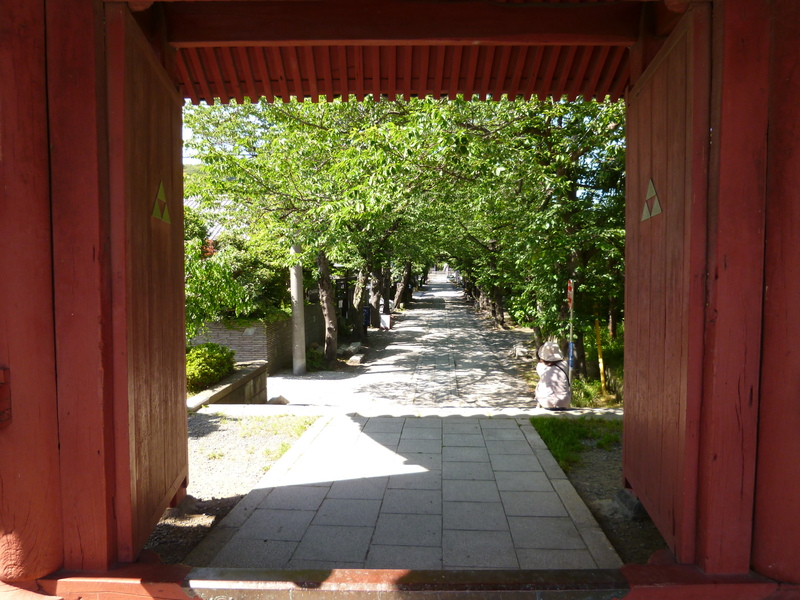 On arrival you come across a kind of outer gate entrance which then takes you down a long path leading to the real entrance. 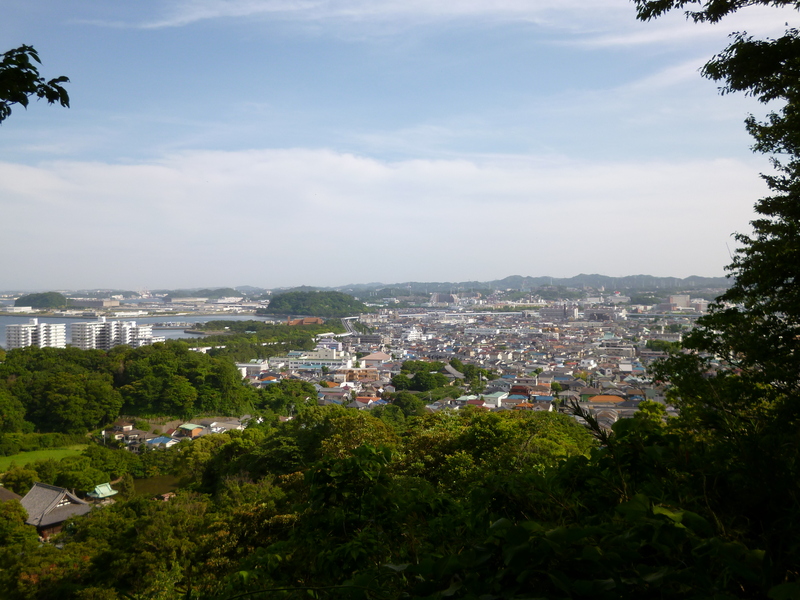 As you go down this path you will see the view below on your left side and just up ahead is the sanmon entrance gate. 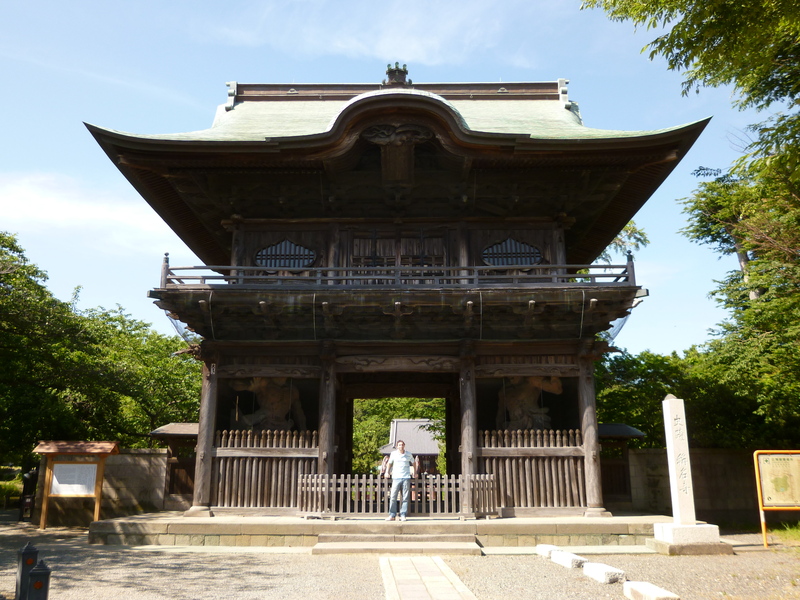 Shomyoji Temple is open between 9am and 4pm from Tuesday to Sunday. 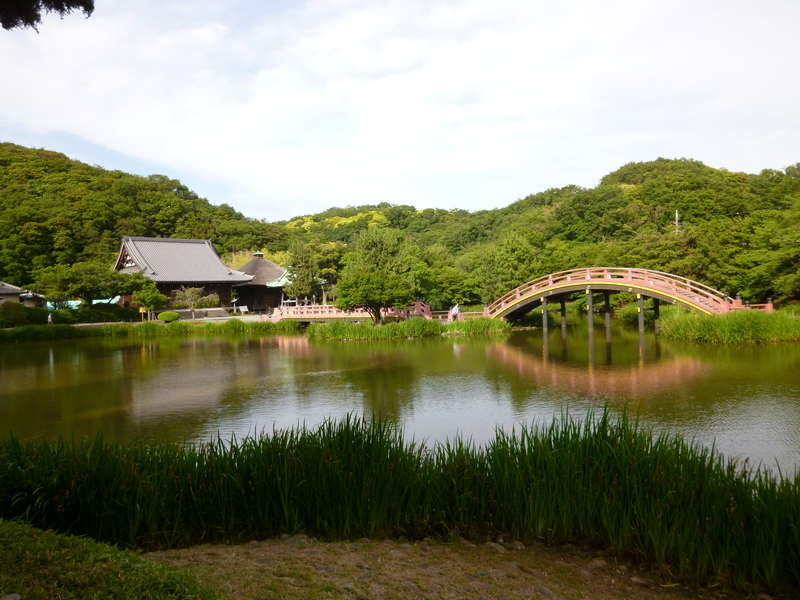 There is no entrance fee to get in this place but there is a small museum/library somewhere in the vicinity which does charge a few hundred yen. As soon as you enter (by going round the entrance gate rather than through it!) 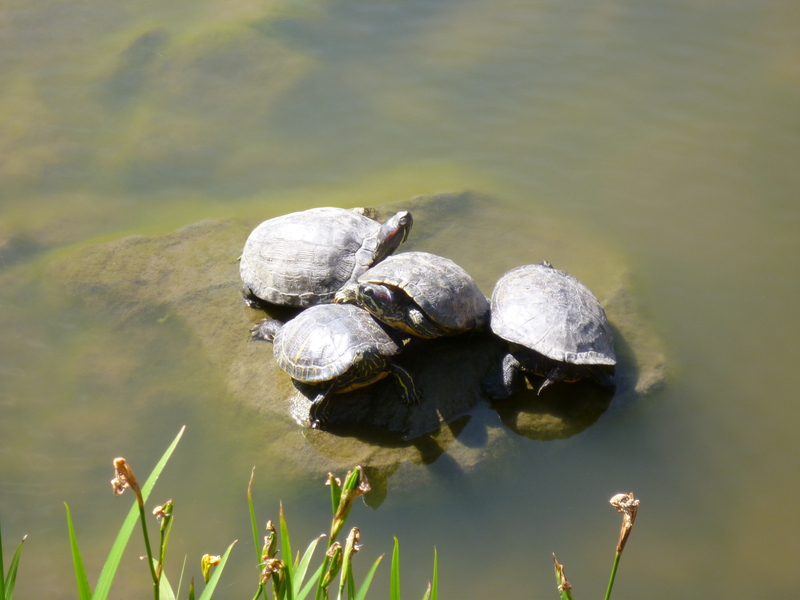 you come across two red bridges crossing a murky brown coloured pond which is full of turtles and the temple buildings are fringed by some lush green vegetation covering the hills. 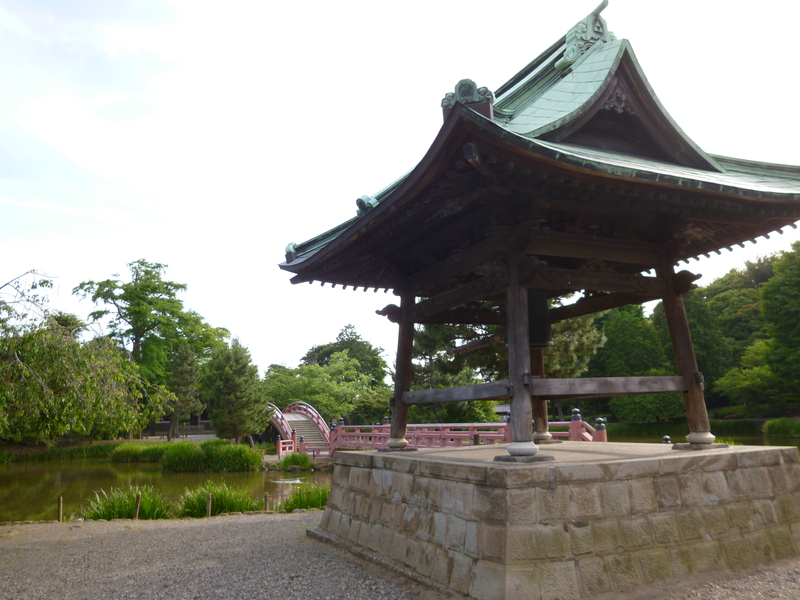 The Main Hall stands in a straight line connecting the gate to the bridge over the pond. 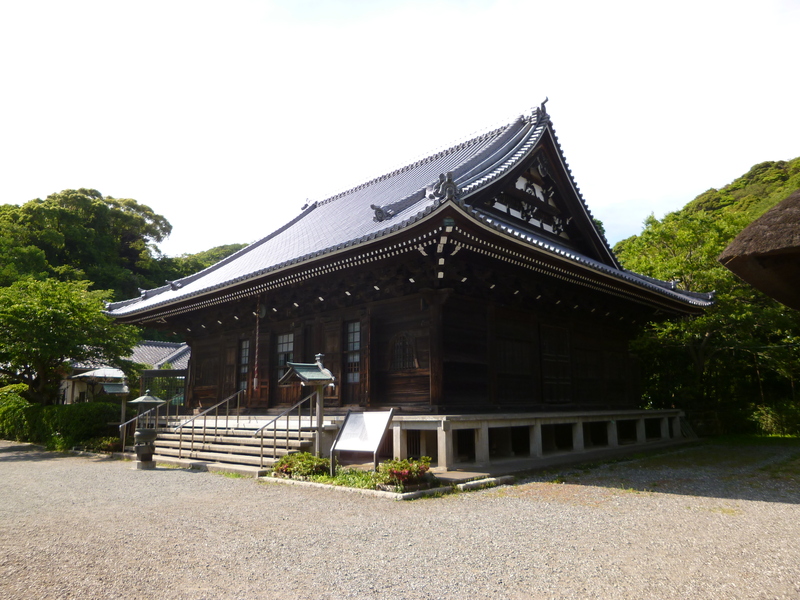 The temple was originally built in 1260 and was at the height of its prosperity in the early 14th century when the Kanazawa district in Yokohama was the eastern gateway to Kamakura. 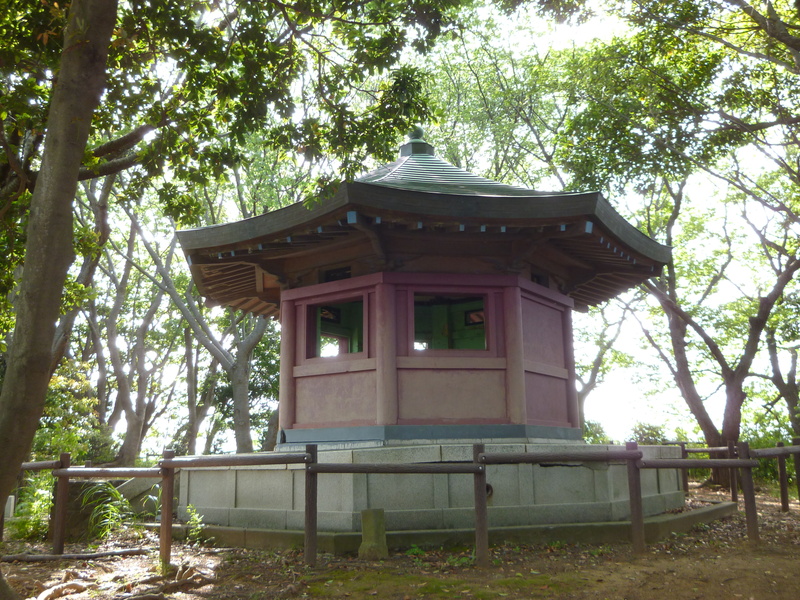 However, when the Kamakura Period ended its one-and-a-half century rule in 1333 the temple began to lose its old glory with no specific patrons. It managed to survive though due to modest government support thereafter and grateful for that we should be. 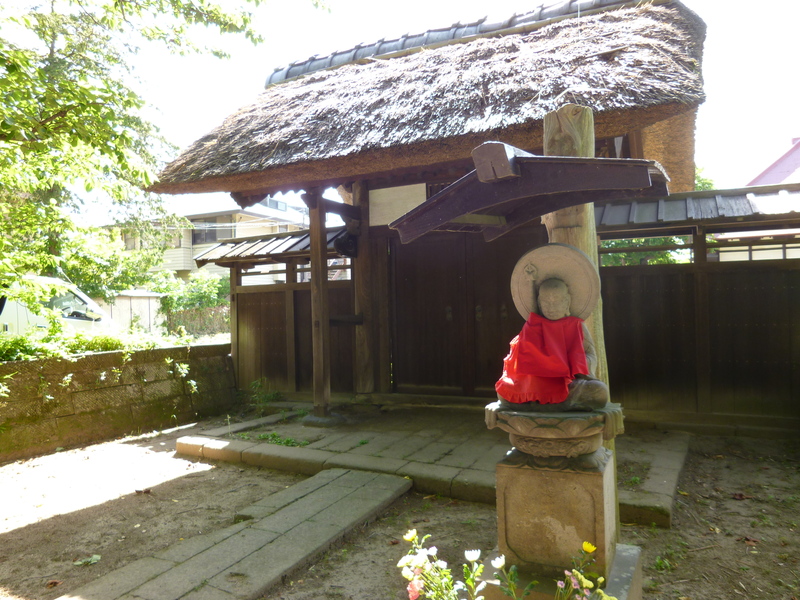 Of course all the buildings seen today in the temple’s grounds were reconstructed or repaired after the Great Kanto Earthquake of 1923. 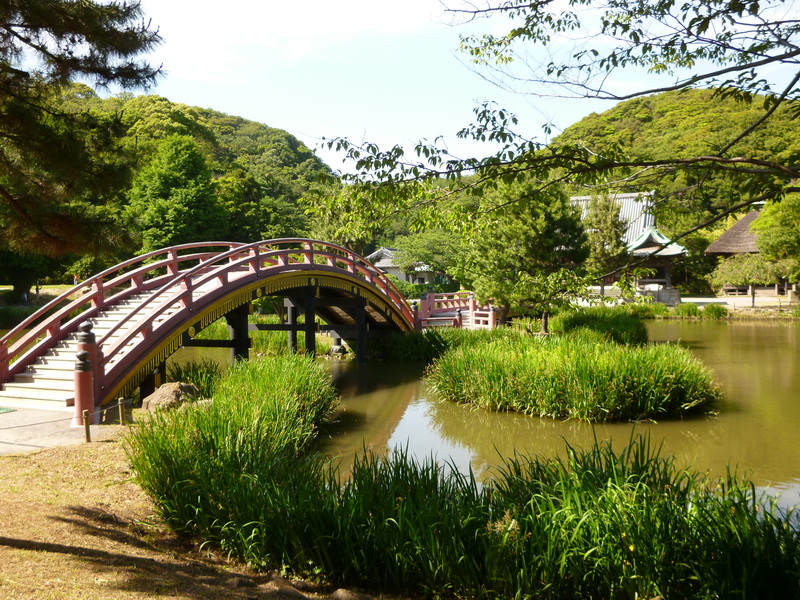 The beautiful garden with red bridges and pond (called Ajiga-ike or the “Pond of Letter A.”) surrounded by hills on three sides was originally constructed in 1320 and restored in 1987 and somehow took ten years to complete. 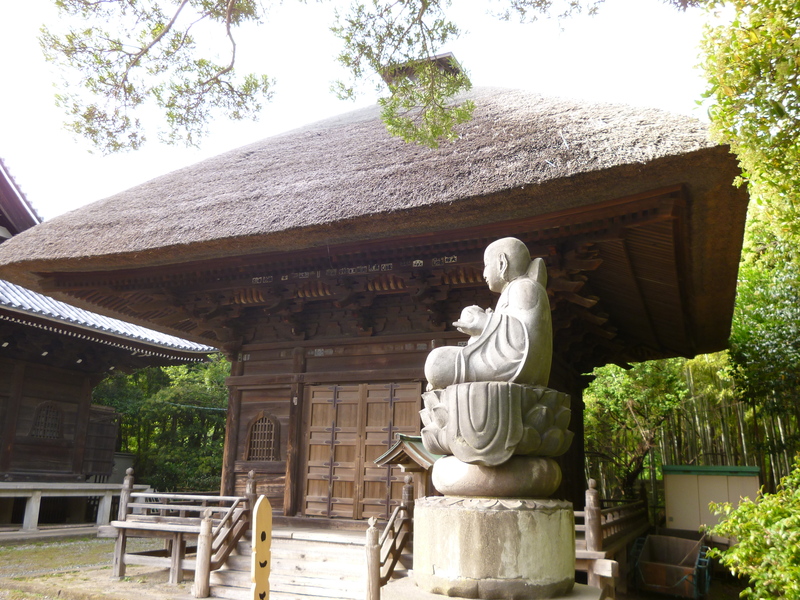 Shakado Hall (below) with its impressive thatched-roof structure lies to the right of the Main Hall and featured quite a bit in the aforementioned rock music video. 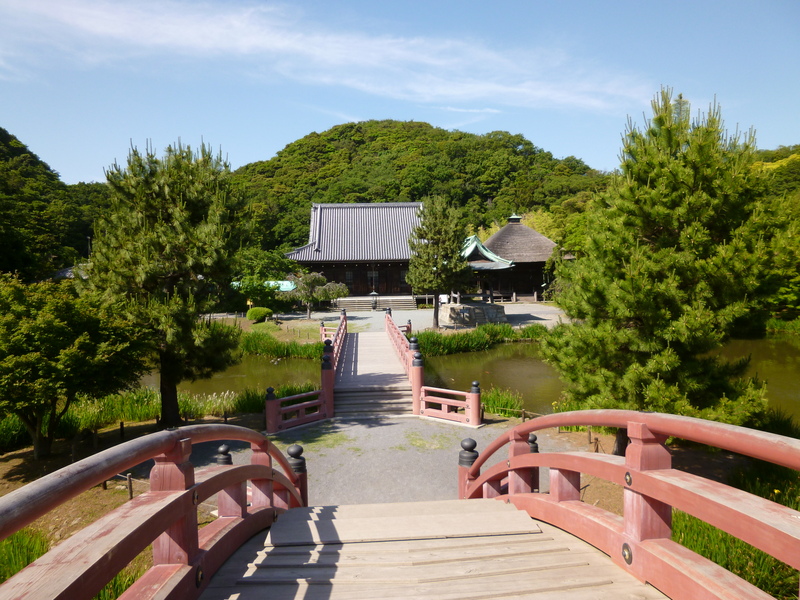 However, Shomyoji is not only worth a visit for the garden and halls but also for the 2km forest walking trail into the hills which is located on the backside of the temple. 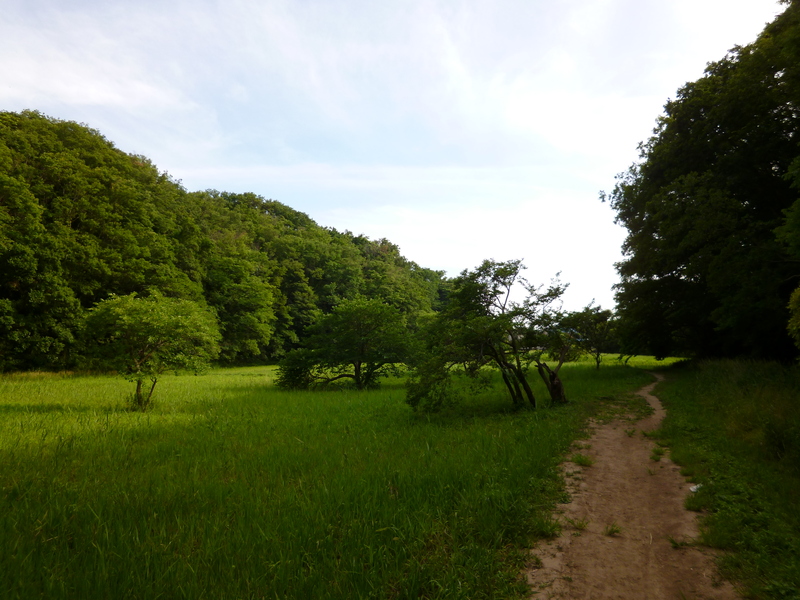 There are two routes up with (if you’re facing the main temple hall) the steeper, more difficult path to the left. 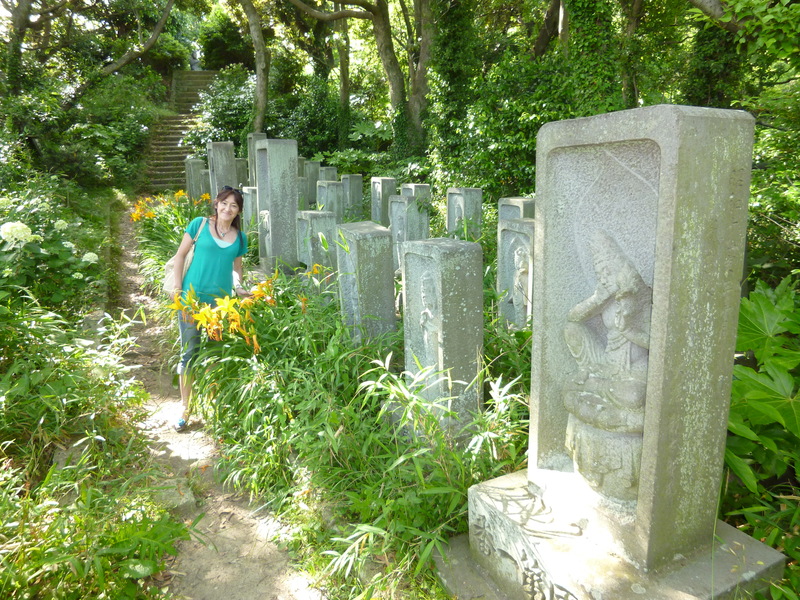 I should add that it is only a 7-8 minute ascend to the top taking you through a couple of graveyards. 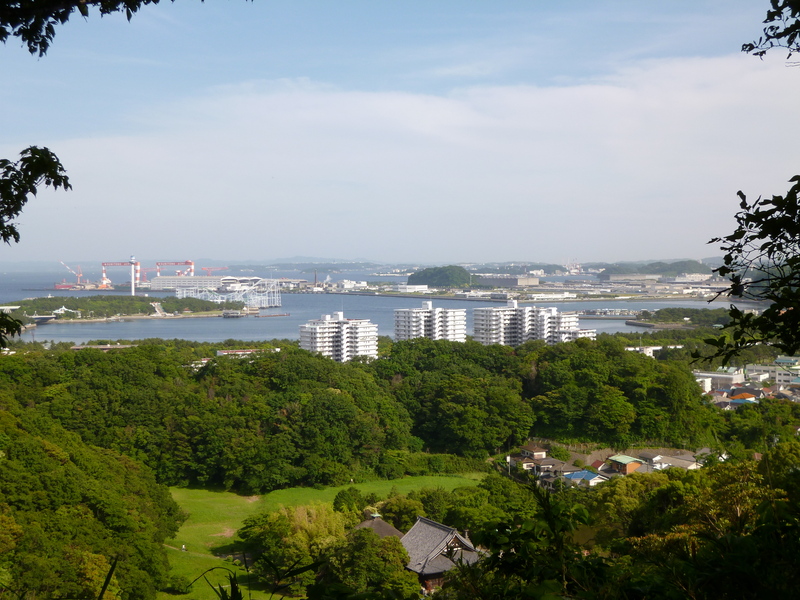 From the top you can see some pretty impressive views across Tokyo Bay including Yokohama Hakkejima Sea Paradise which is home to the world’s tallest vertical fall amusement ride (107m) as well as Japan’s largest collection of marine life in its aquarium. 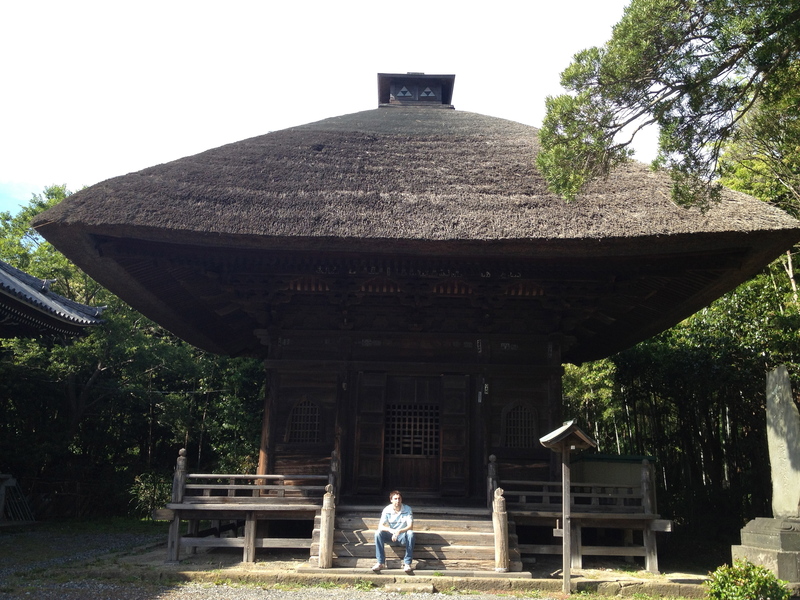 Although we didn’t, a trip here could easily be combined with this temple. It’s fair to say that it won’t take you too long to walk around the 75,000 squared-meter temple area but its a nice place to take a quiet break and relax amid a pleasant setting away from the crowds which can sometimes make living here a frustrating experience. 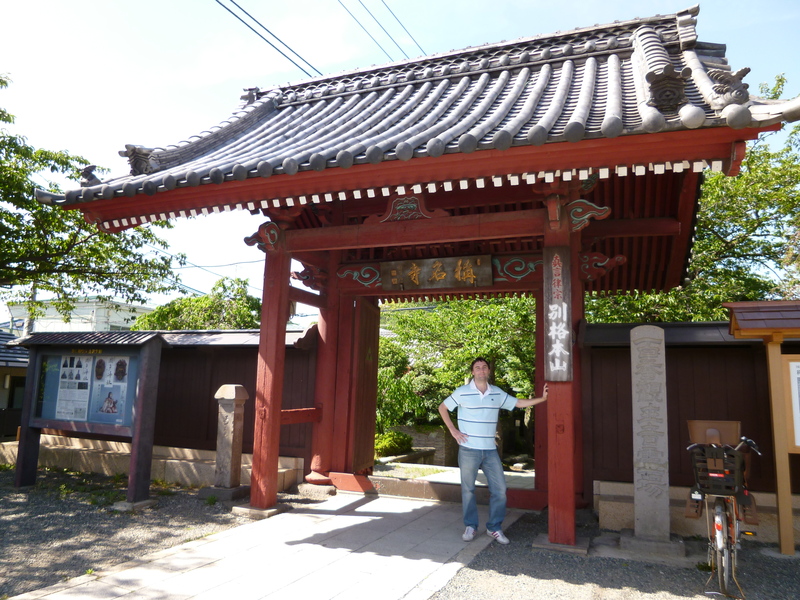 This entry was posted in Japan Filming Locations, Japan Travel, Tokyo Daytripper: and tagged manic street preachers temple, shomyoji temple, things to do in yokohama, Tokyo Daytripper:. Bookmark the permalink.